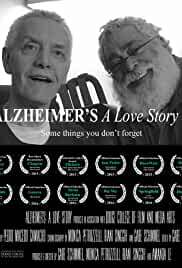 Alzheimers: A Love Story follows Greg and Michael as they struggle with a disease eradicating the memory of their relationship 40+ years in the making. Follow six diverse trainers as they jockey for position along the 2006 Kentucky Derby trail. Physicists are on the cusp of the greatest scientific discovery of all time — or perhaps their greatest failure. Korengal picks up where Restrepo left off; the same men, the same valley, the same commanders, but a very different look at the experience of war. When a Scottish indie pop artist decides to re-write his country’s oldest songs, the only thing standing in his way is an ageing folk singer and centuries of history. Filmmaker Dorothy Fadiman shines a spotlight on the gritty reality of the last decade’s most egregious incidents of U.S. electoral insecurity.